Ewan McGregor, Stellan Skarsgård, Damian Lewis, Naomie Harris, Jeremy Northam. Good in good packaging. Languages: English, French, Russian. Run time: 108 mins. Aspect ratio: 2.40: 1. Originally released: 2016. Ex) Library copy. Typical library stampings, stickers and markings. Moderate wear. Jeremy Northam, Alicia von Rittberg, Damian Lewis, Stellan Skarsgard, Ewan McGregor, Naomie Harris. Very good. 2016 Run time: 94. *Previously viewed rental* Buy with confidence-Satisfaction Guaranteed! Delivery Confirmation included for all orders in the US. Ewan McGregor, Stellan Skarsgård, Damian Lewis, Naomie Harris, Jeremy Northam. Run time: 108 mins. Aspect ratio: 2.40: 1. Originally released: 2016. Languages: English, French, Russian. 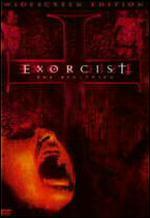 INCLUDES DVD, CASE, AND COVER ART. FORMER RENTAL. 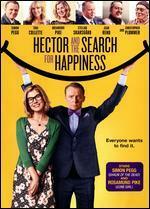 Jeremy Northam, Alicia von Rittberg, Damian Lewis, Stellan Skarsgard, Ewan McGregor, Naomie Harris. Good. 2016 Run time: 94. Connecting viewers with great movies since 1972. All used discs are inspected and guaranteed. Used discs may not include digital copies. Customer service is our top priority! 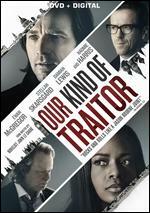 Ewan McGregor, Stellan Skarsgård, Damian Lewis, Naomie Harris, Jeremy Northam. Good in good packaging. Languages: English, French, Russian. Run time: 108 mins. Aspect ratio: 2.40: 1. Originally released: 2016. Ex) Library copy. (W5 BLU) Typical library stampings, stickers and markings. Moderate wear. Jeremy Northam, Alicia von Rittberg, Damian Lewis, Stellan Skarsgard, Ewan McGregor, Naomie Harris. Good. 2016 Run time: 104. Connecting viewers with great movies since 1972. All used discs are inspected and guaranteed. Used discs may not include digital copies. Customer service is our top priority! Very Good. 031398248033 fast shipping excellent service. 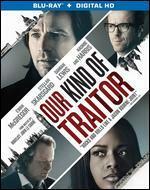 Ewan McGregor, Stellan Skarsgård, Damian Lewis, Naomie Harris, Jeremy Northam. Run time: 108 mins. Aspect ratio: 2.40: 1. Originally released: 2016. Languages: English, French, Russian. 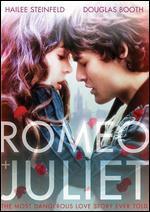 INCLUDES BLU-RAY, CASE, AND COVER ART. FORMER RENTAL.